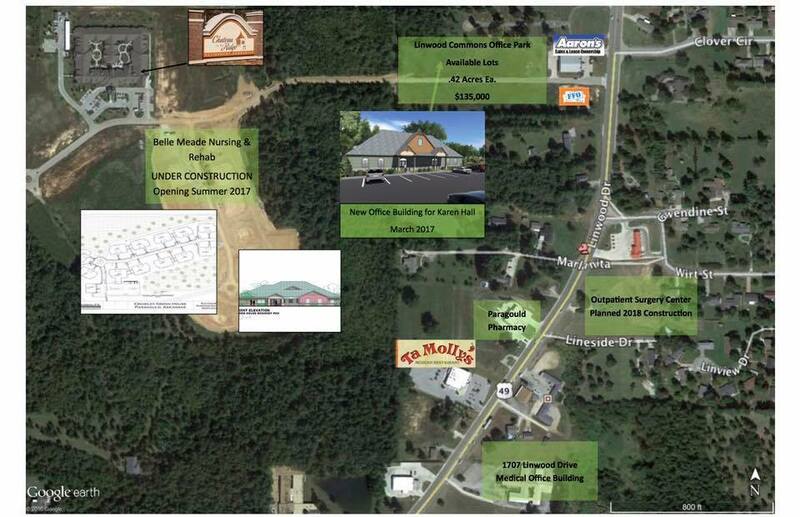 Linwood Commons Office Park is a 12 lot office park subdivision located on Chateau Blvd just off Hwy 49 S in Paragould. The just under 1/2 acre lots are restricted for quiet office users. Karen Hall, LCSW PA has just completed her new office here and we hope to have more announcements soon.